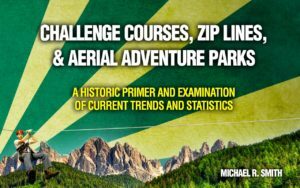 Audits & Inspections > AdventureSmith, Inc.
Providing third-party, professional operations audits & technical inspections for challenge courses, zip lines, and aerial adventure courses. 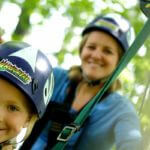 We take a thoughtful approach to structural inspection and program audits. Our inspections and audits are hands-on / wrench-on processes designed to carefully review structures, documentation, design, policies, and application to industry standards and jurisdictional requirements. An organized and timely report is returned outlining necessary action items or validating substantial compliance. Operation reviews and assessment conducted by a qualified, independent third-party can help to ensure quality operations and mitigate risk to your participants and staff. 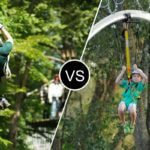 Our reviewers are experienced operators with years of experience designing, developing, and managing challenge courses, zip lines, canopy tours, and aerial adventure courses. In addition to assessing compliance with ANSI/ACCT, ASTM, and jurisdictional requirements, our reviewers can provide practical solutions to improve operational efficiencies, manage risk, and generate revenue. 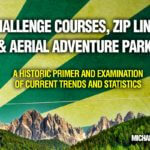 Why invest in an operation audit and program review of your zip line, adventure park or challenge course? ANSI/ACCT 03-2016 Chapter 2, B.2.7. The organization shall engage in a review of its practices by an external qualified person(s), at least once every five (5) years. Independent and objective review and documentation of course structures, equipment, and documentation to applicable industry standards and jurisdictional requirements. Course inspections are completed by qualified inspectors with construction, training, and operations experience. Our inspectors work with operational staff to review design and operating documentation and to complete a hands-on / wrench-on inspection of course structures, elements, and personal safety equipment. Inspections are designed to assess and record the condition of the course and to determine compliance with applicable industry standards and jurisdictional requirements. They are also an opportunity to work with in-house staff to determine whether requirements for maintenance, pre-use and periodic inspections, and equipment replacement are being completed to the original equipment manufacturer’s or qualified designer’s specifications. 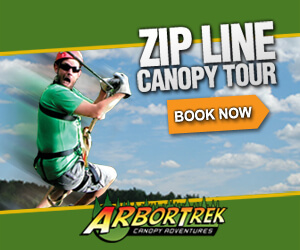 Depending on the size and style of zip line or aerial adventure course, inspections generally take one or more days. To determine the scope of work and schedule an inspection, please contact our offices. Contact us to set up a time to discuss your needs and determine the scope of the audit or inspection.